Beautiful Tribal Antique Blue Background Persian Bakshaish Rug, Country of Origin/ Rug Type: Persian Rug, Circa Date: 1880 – By establishing a repeating pattern that emphasizes the use of color within the Persian rug, the artist is able to convey a charming and familiar message throughout the rest of the antique rug. The use of blue color at the background complements the surrounding white elements of the border, while the presence of the floral blooms at the foreground unifies the two and allows the transition from the exterior to the interior to appear even more seamless. 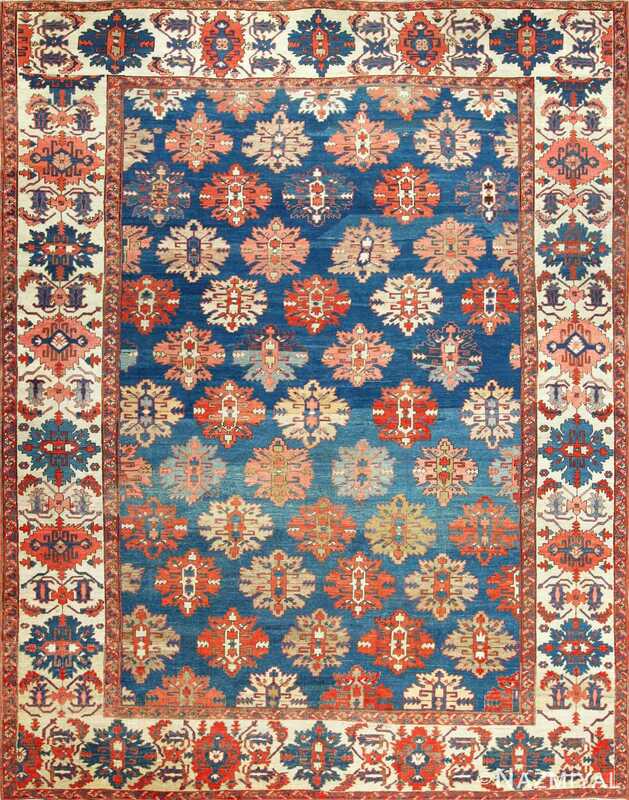 The blossoms at the foreground of the Persian Bakshaish rug all stand out on their own due to their varied colors, and their designs create a graceful symmetry that lends character to the masterpiece itself. 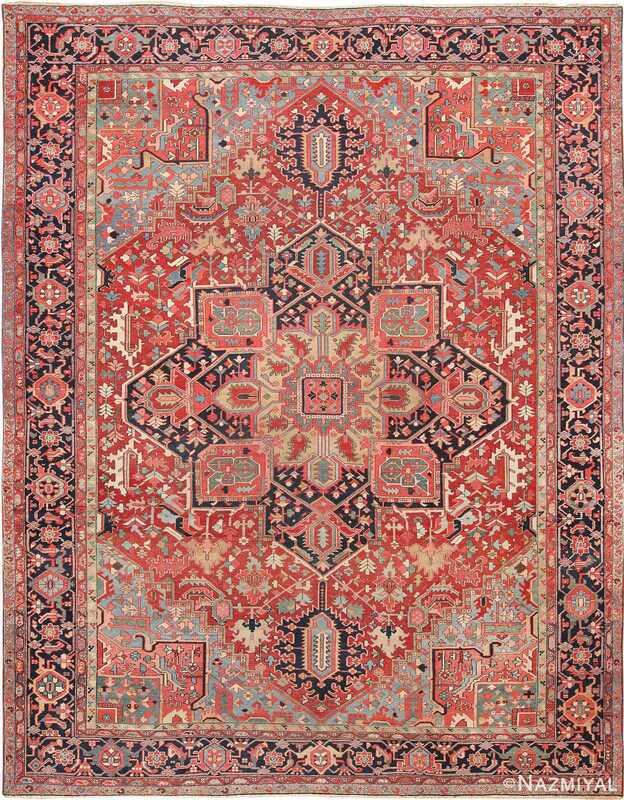 This striking antique Persian Bakshaish rug was produced around 1880 and has held up beautifully for over a century. 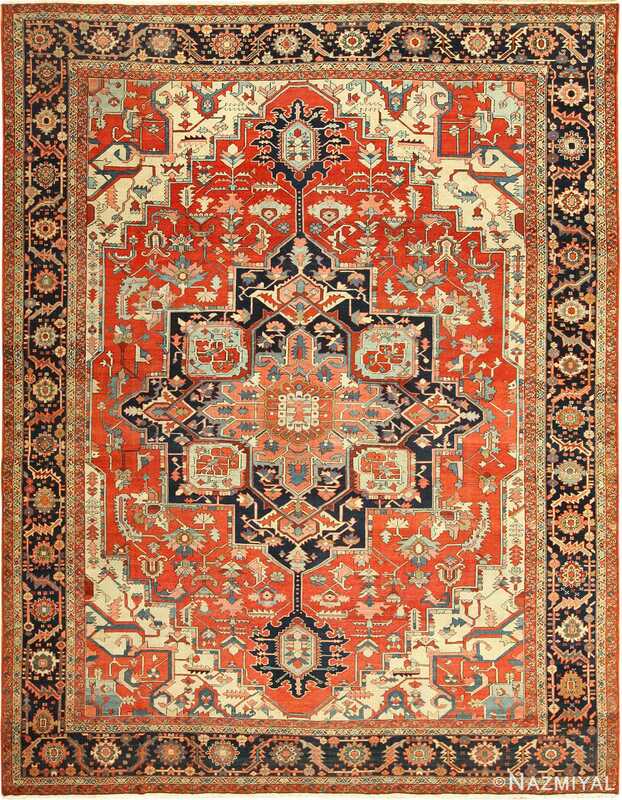 The Persian colors are as vivid as the day it was woven and have a shimmer that is a testimony to the workmanship and artistry that went into producing it. The happy blue background colors accentuates the large scale floral motifs, creating a contrast between warm and cool colors. 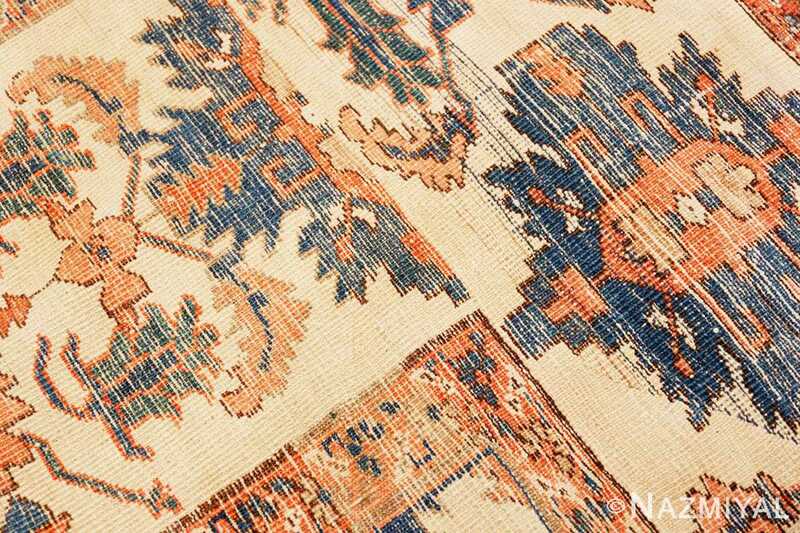 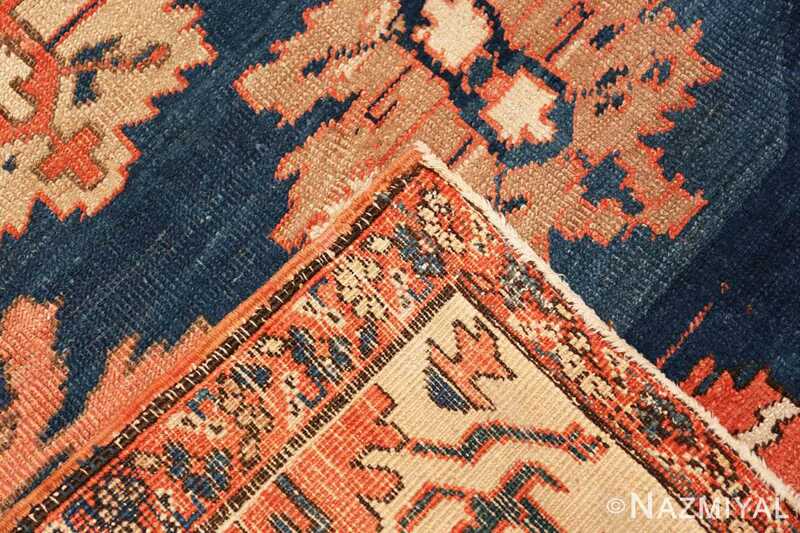 The older and more primitive version of the antique Persian Heriz Serapi rugs uses an all over rug design and a tribal feel that will add a rustic and sophisticated charm to any room. 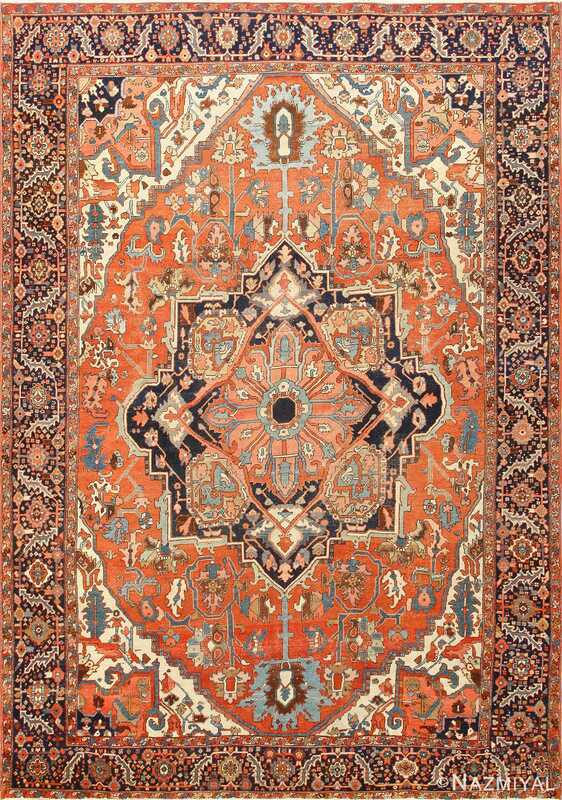 This magnificent antique Persian rug gives that impression as if it is piece of tapestry or cloth that has been cut out and surrounded by a fantastic framing edging. One of the unusual features of this tribal antique blue background Persian Bakshaish rug is that the corners of the main border are done in such a way that it appears to be two horizontal bands running up the side of the antique rug, with bands at the top and bottom placed over top of them. 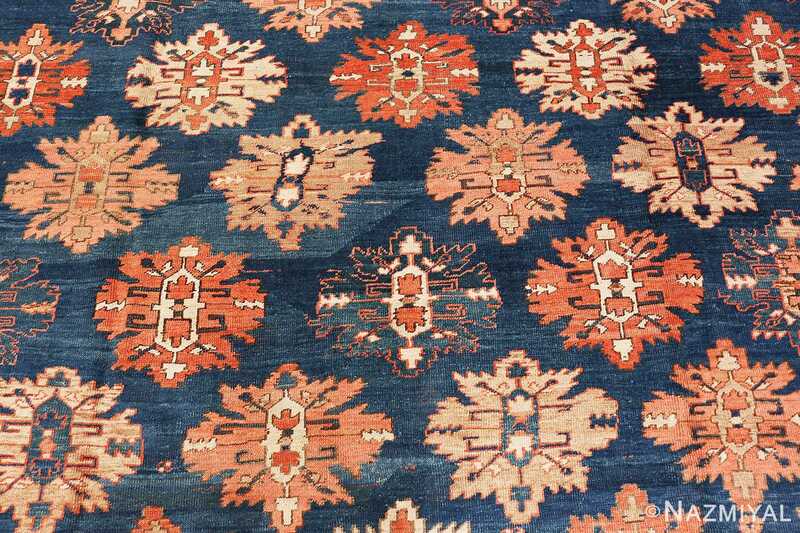 The design is cut off in such a way that it gives it the appearance of cloth trim, rather than the carefully placed motifs one typically finds as the main border turns the corners. 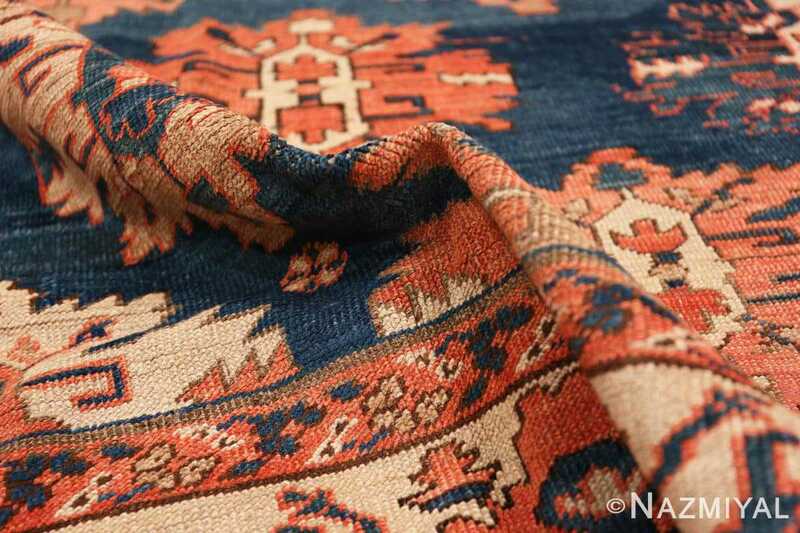 This accentuates the primitive, handmade feel of the rug. 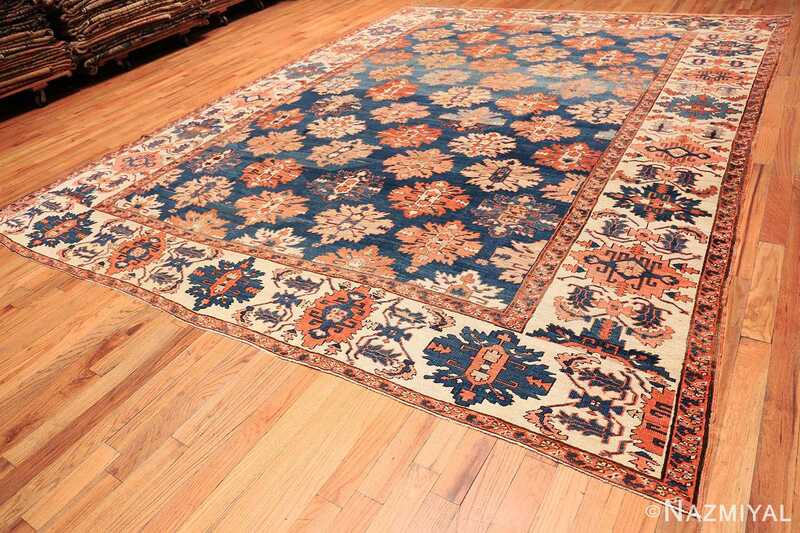 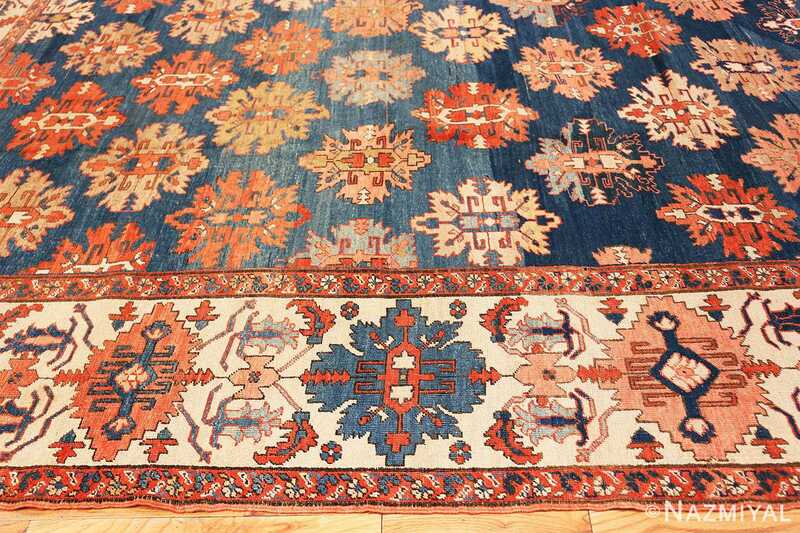 This antique Oriental rug is charming and will add a touch of color and character to the room. It is a simple design that is carried out beautifully and demonstrates the skill and artistry of the rug weaver. 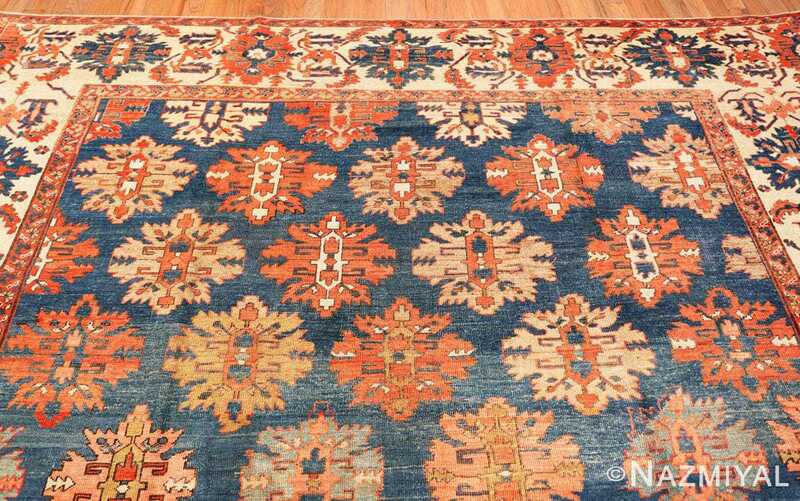 This antique Persian Bakshaish rug would make a beautiful addition to a room with a tribal theme, or as the central focal point of a contemporary design. 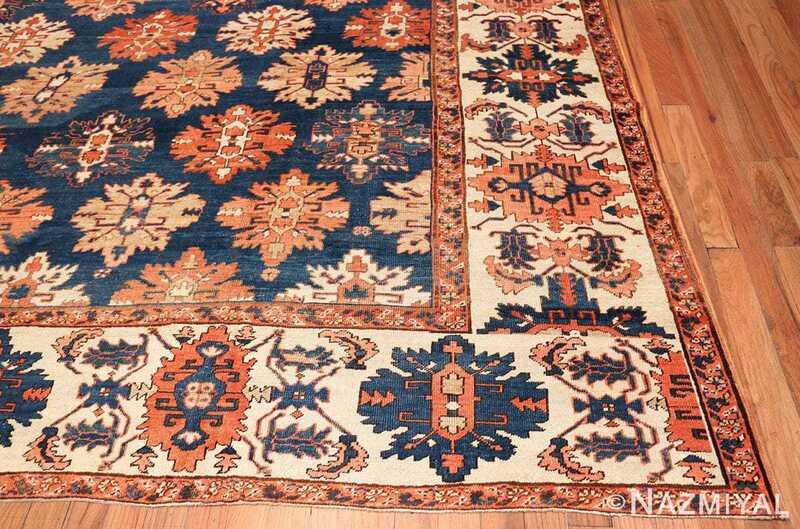 The design is versatile and will brighten any space.